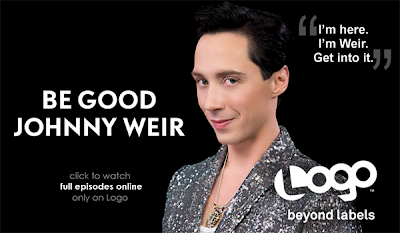 Binky's Johnny Weir Blog Archive: "Thank You, Johnny!" chatting with thrilled fans on a very brisk winter day. Exclusive photo © Sinikka Grant. on Wednesday, December 31, 8 pm ET. Watch the sneak peek video here! Johnny and Tara appear at about 00:18. 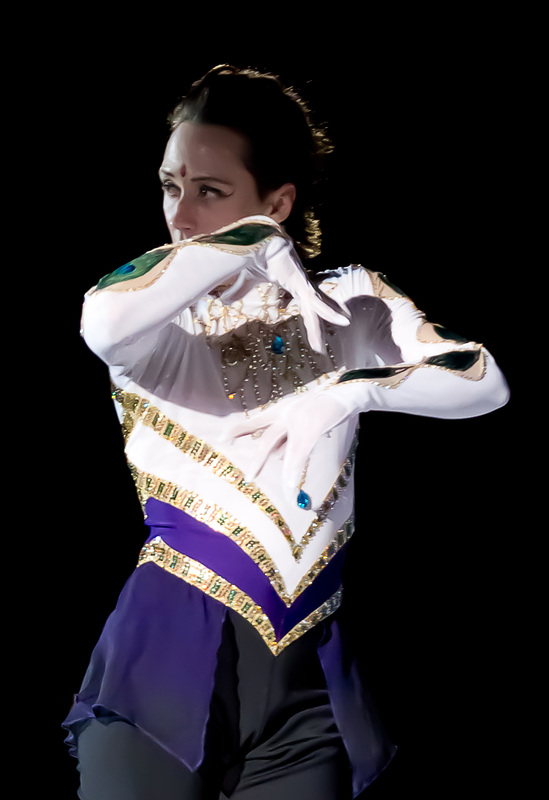 US Nationals are coming up!! Sold-out shows night after night! in January for the next leg of the tour! More coverage here and here! with Dima Bilan (and lots of Johnny). than to see this tour come to the US! 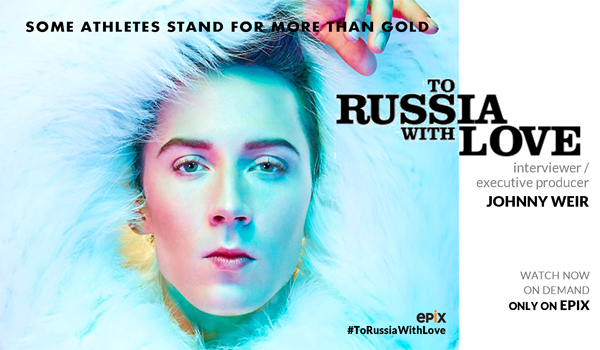 Entertainment Weekly — Best of 2014: How Johnny Weir, Tara Lipinski Became the Breakout Stars of Sochi. Wonderful must-read interview that includes Johnny and Tara’s top five secrets to their success. Among them: beloved broadcasting partner “Uncle Terry” Gannon. InStyle — Style 100: The Best Looks and Trends of 2014. “Johnny Weir and Tara Lipinski gave new meaning to the term ‘color commentators’ at the Sochi Olympics with a star-making turn rink-side (they practically edged Scott Hamilton right off the ice).” LOL this pleases me. In fact, InStyle loved Johnny and Tara so much that they’re not only included in the gallery, but are also among the few celebs mentioned in the accompanying article. And again from Sports Illustrated — Sports Illustrated Media Awards: The Best and Worst of 2014. 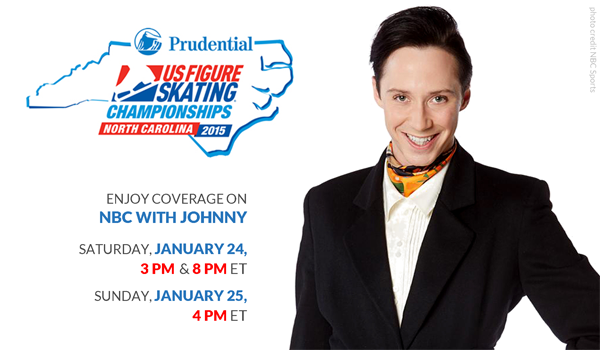 “Newcomer of the Year: Tara Lipinski and Johnny Weir (NBC Sports). Lipinski and Weir were the breakout stars of the Sochi Games thanks to their fantastic chemistry, devil-may-care attitude and their youth (neither is over 32). NBC has since promoted them to the No. 1 team on figure skating for the company.” Read more for some excellent Johnny quotes. But now there’s a new mystery: what were they doing last week and why do they have their own set?? 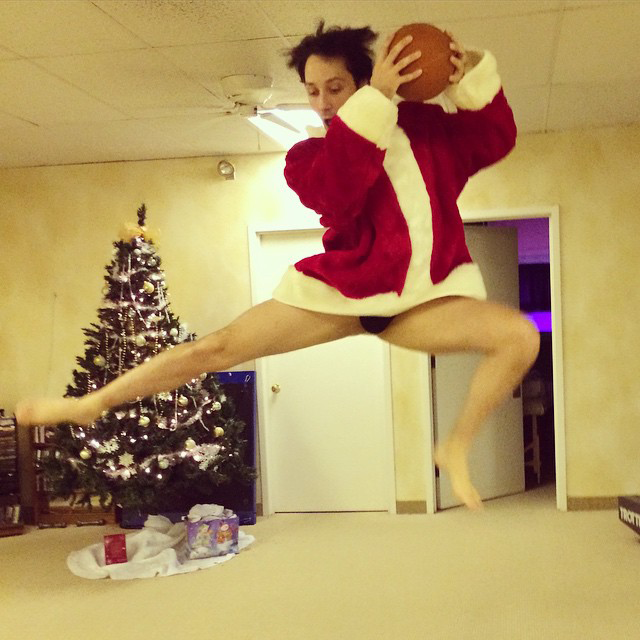 Via Eli Heiten: “I got a Johnny Weir for Hannukah! Can’t wait to find out what they are! Every time I see Johnny, whether in person or on TV, every time I read or watch another interview, I can’t help but be amazed by what a gentleman he is. Albany was, of course, no exception. 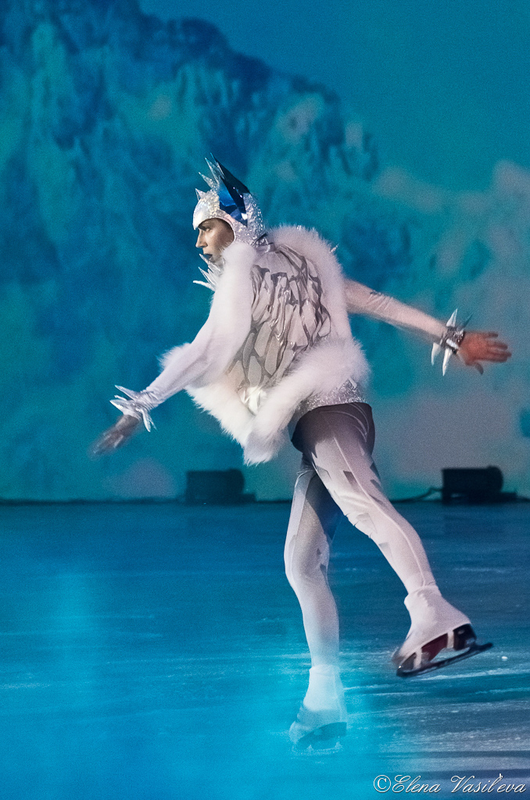 The event began with a short but dazzling display of Johnny on ice, after which he invited everyone to come skate. I was thrilled. I wanted to dash onto the ice like an extraordinarily talented 12-year-old on a frozen Pennsylvania cornfield. Unfortunately, I was paralyzed by fear. I’m not a skater. I’ve been told I dance like one, but that’s on solid ground. On ice, my only experience is those two or three weeks each winter when my elementary school PE class would turn us loose on the hockey rink. I put one foot on the ice, felt horribly uncomfortable, and called my friends for help. They led me out, and I managed one slow, board-stabilized lap before getting in line to chat with Johnny. When I finally got to the front of the line, he turned to me and opened his arms for a hug. I pushed off from my hand-holding friend and let myself glide those last few feet into his arms, using his hug like a wall to stop myself. 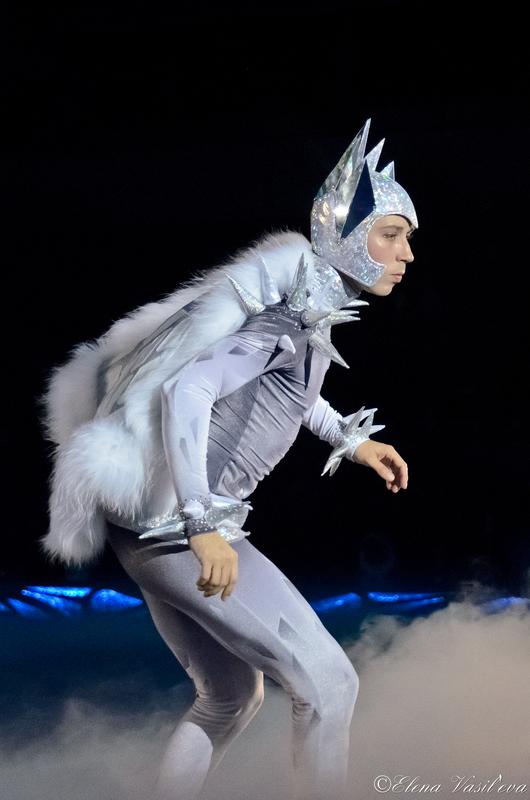 My advice to anyone who has the chance to meet Johnny on ice is to do the same, even if your skating skills (or lack thereof) don’t require it. His strong but gentle embrace and his soft fur coat made me feel like I was falling onto a heavenly cloud and into the arms of a life-sized teddy bear. 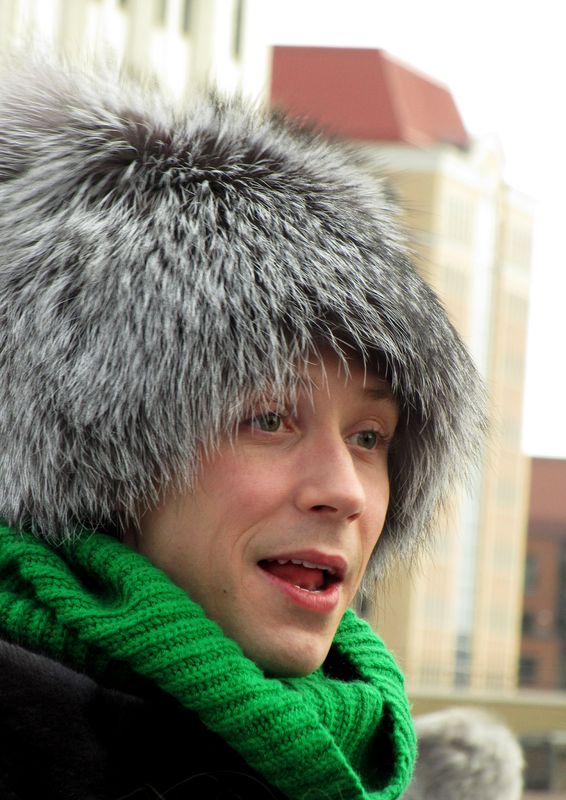 We exchanged pleasantries and discussed our Russian hats. (OMG I got a fashion compliment from my personal fashion god favorite fashion icon!). 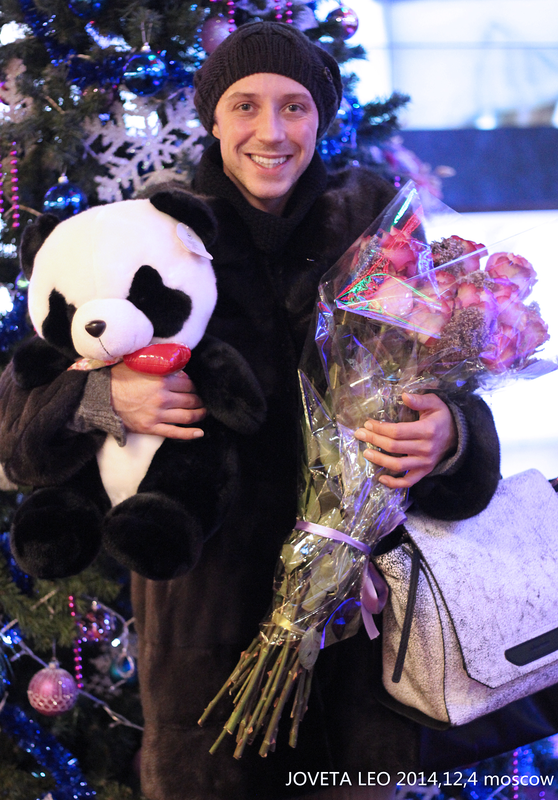 I congratulated him on making so many “Best of 2014” lists, and on creating To Russia With Love. He thanked me and gave me the shy smile of someone surprised by a compliment. I also congratulated him on being the only person in the world who could get me onto the ice. I explained that I haven’t skated in about 25 years (and wasn’t too good at it even then), don’t really do well on anything slippery, and hate the cold. As I was pointing out to him what a great inspiration and ambassador for his sport he is, he turned it around and reframed the situation to make me sound like the amazing one. He congratulated me on getting out there and doing the best I could at something way outside my comfort zone, especially on a rink with poor ice conditions that made it so much more difficult. We continued to chat about Albany, architecture, and egg-shaped things, and I realized that even though there were three lines of people waiting to talk to him, he wasn’t going to hurry me (or anyone else) so that he could move on to the next adoring fan. I’d have loved to stay and chat all day, but I said my goodbyes and stumbled slipped skated away. When the “skate with Johnny” portion ended, my friends and I headed to the rinkside cafe to warm up and rest our feet. Johnny took his spot at an outdoor table to sign autographs. As we indulged in an hour of warmth in the cafe, we saw Johnny getting noticeably colder. Near the end of the signing, he was alternately rubbing his hands together and warming them on the side of his coffee cup between autographs, and jumping up and down and rubbing his legs between conversations. But he never rushed people along or cut off the line. He stayed out there, freezing, until every last fan had gotten their time with him and he’d thanked each one for coming out and braving the cold to see him. 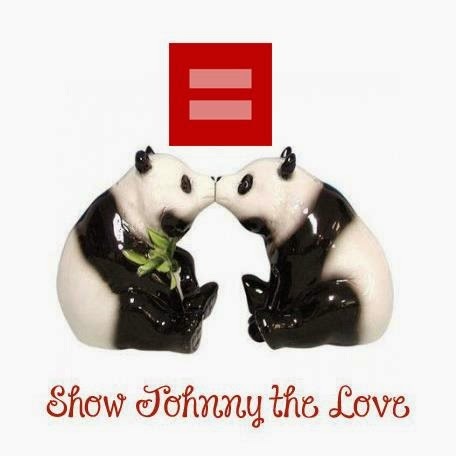 So let me say here: Thank YOU, Johnny! Thank you for your dazzling performances, your bravery, your dedication to your work and your fans, your generosity with your time. And most of all, thank you for just being you, the sweet-to-your-bones and true-to-yourself guy who inspires us to be our best selves and somehow manages to stay humble despite worldwide fame and adoration. I’ll stand out in the cold and struggle my way across the ice for you anytime! Rachel and Johnny in Albany. 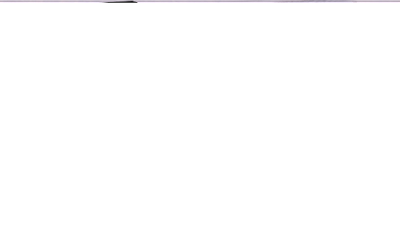 Please click any photo for the full-size image. Many of these are gigantic (just the way we like them), so they will seriously take some time to load. But as always, they’re well worth the wait. Photos not otherwise sourced are exclusives courtesy of Sinikka Grant (thank you, dear Sinikka!). Getting ready to take the ice. 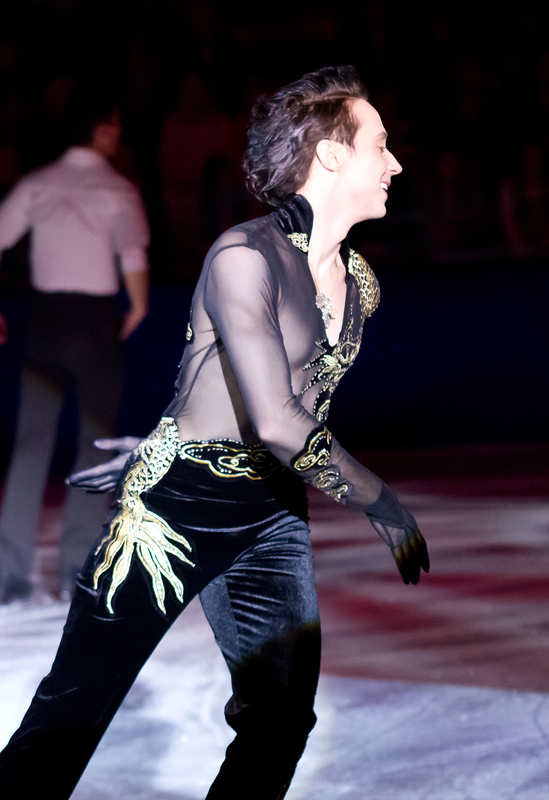 Johnny opens the event with a brief but beautiful skate. Thanks to Anastasia Pryanikova for this version! And thanks to Sinikka Grant for this one! have its own Instagram by now. to come and skate with him. And another view, thanks to Sinikka Grant. Johnny: Thank you [to person handing him the microphone]. Well, good morning, everybody. I had to have a little twirl on the ice before it gets all scratched up, but I want to invite all of you to come out and skate and enjoy the day. It’s beautiful, there’s no snow, and it’s crisp. [laughter at his understatement] But I’m so happy to be in Albany. I haven’t been for a long time, and it’s really a pleasure to skate with all of you today, so please get on the ice and let’s have fun! he chatted with the assembled media. Via Blue Shield of NENY. 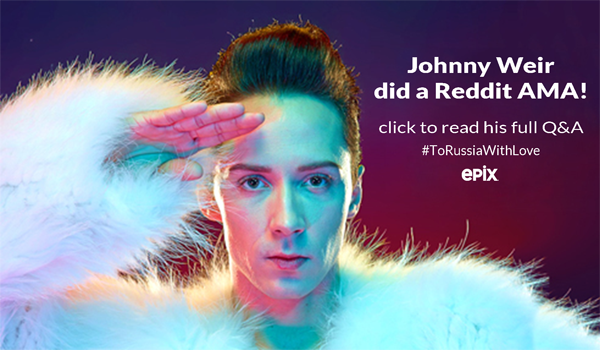 See Johnny’s interviews here and here! 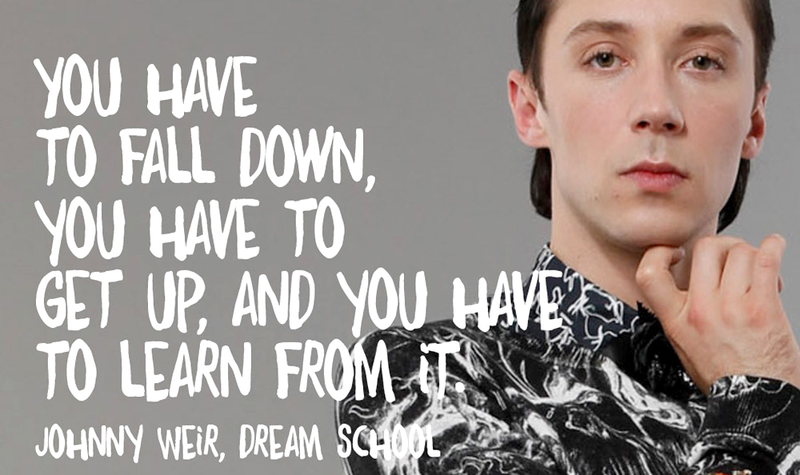 I had the pleasure of meeting and interviewing one Johnny Weir this weekend. 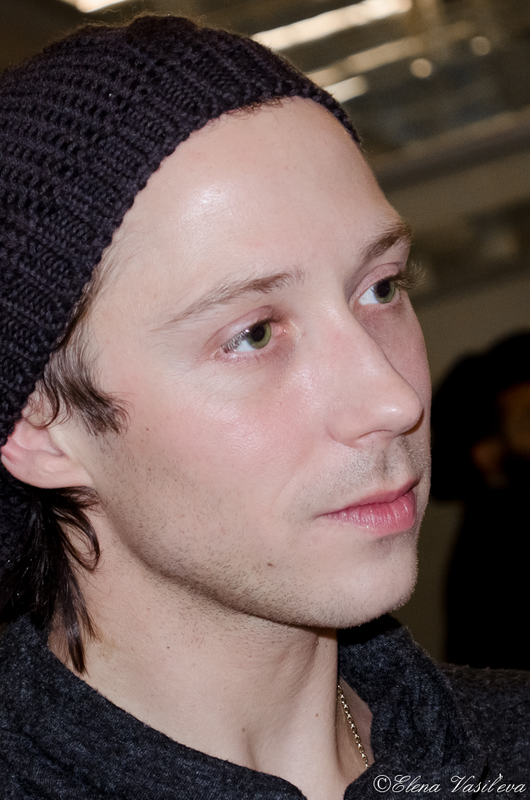 He was in town for a meet and greet with local skaters and fans. I didn’t quite know what to expect going into it—having interviewed many celebrities in the past, it’s a crapshoot as to whether they’ll be cool or not—but I am happy to say that Johnny was polite, polished and genuine during my conversation with him. And he was gracious enough to indulge my need to take a selfie with him. We chatted about a lot of things, and I will post the interview as soon as it airs! And now it’s time for fans to (politely) swarm him! and her lovely daughter Lexi! 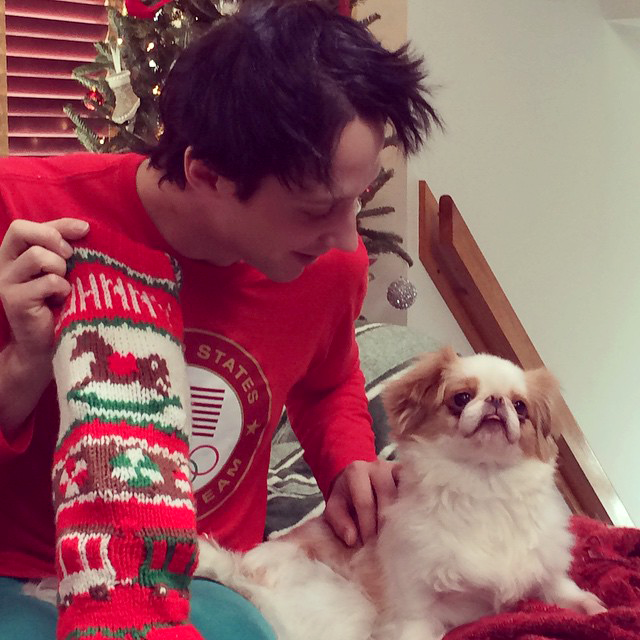 Yes, we want to see his new skates! A convo that clearly required hugs. 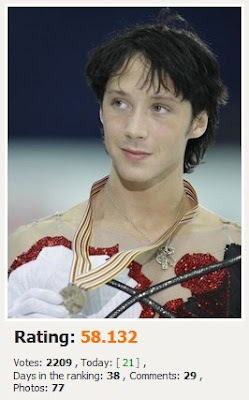 Via @duckies07: “Met Johnny Weir 10 years ago. Was too afraid to ask for a picture. 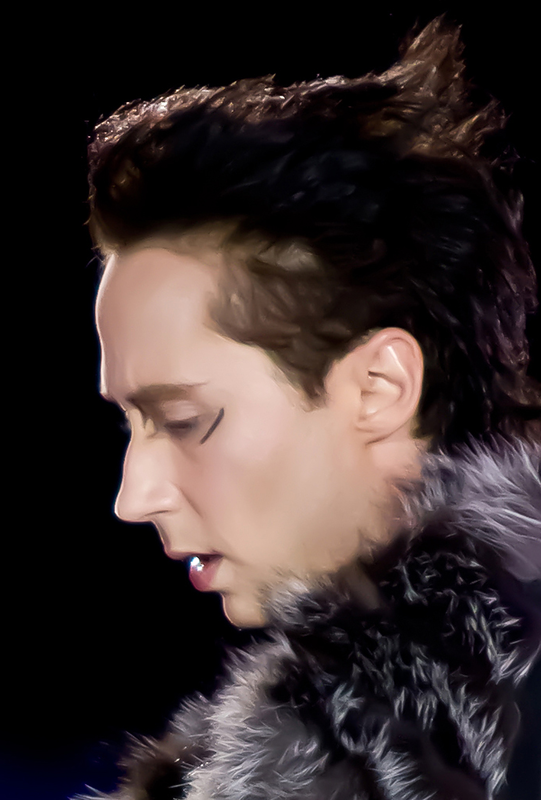 Met Johnny Weir today. Struck a pose. Via @lizzydinuzzo: “Do you see him blessing her feet?? and more selfies with Johnny! As with every Johnny event, there’s a long line of fans. Via @debbiescary: “Just met @johnnygweir! With reps from Hannaford, who sponsored the free event. 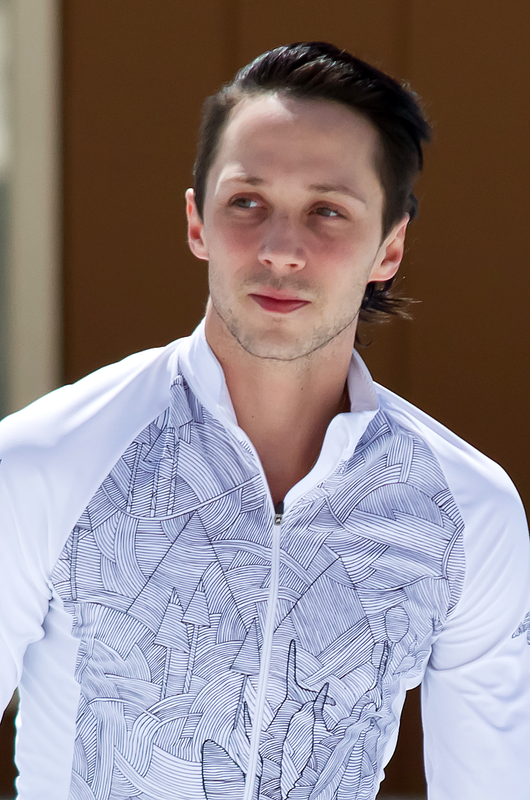 @JohnnyGWeir on a crisp Albany afternoon. 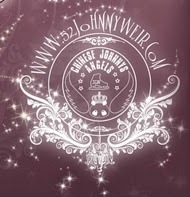 Happy holidays to all Johnny’s fans around the world! 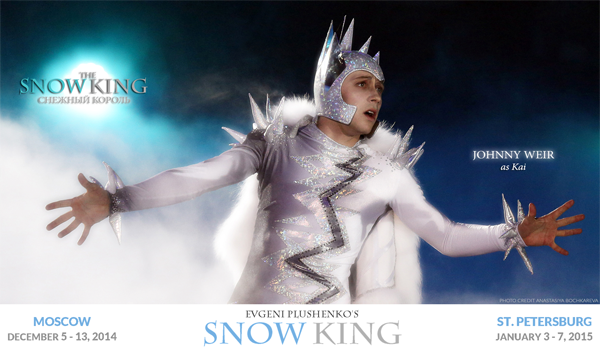 from the Moscow leg of the Snow King tour. 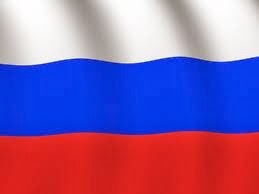 Next up: St. Petersburg in January! of all Johnny’s skating from the show! the official website of my fav photographer, David Ingogly! been added to the site, with more to come. Check back often for new uploads! thrilled fans once again in Moscow. "Be Happy Ever, Ever, Ever"